Alisha Richard is a multifaceted creative force: recording artist, entrepreneur, acclaimed motivational speaker, and full-time photographer. From being a single parent struggling to make ends meet to now being a wife, mother of two, and entrepreneur, Alisha’s determined to inspire young women and teens to discover their own potential in a world of infinite possibilities. Alisha is a graduate of Coastal Carolina University and a member of Alpha Kappa Alpha Sorority, Inc. She is active in her community and provides various programs and opportunities for young women and teens in her community. Alisha is the founder of the Miss Deeply Confident Pageant in order to provide a positive outlet for young teens to build self-esteem, self-awareness, and teen pregnancy prevention. 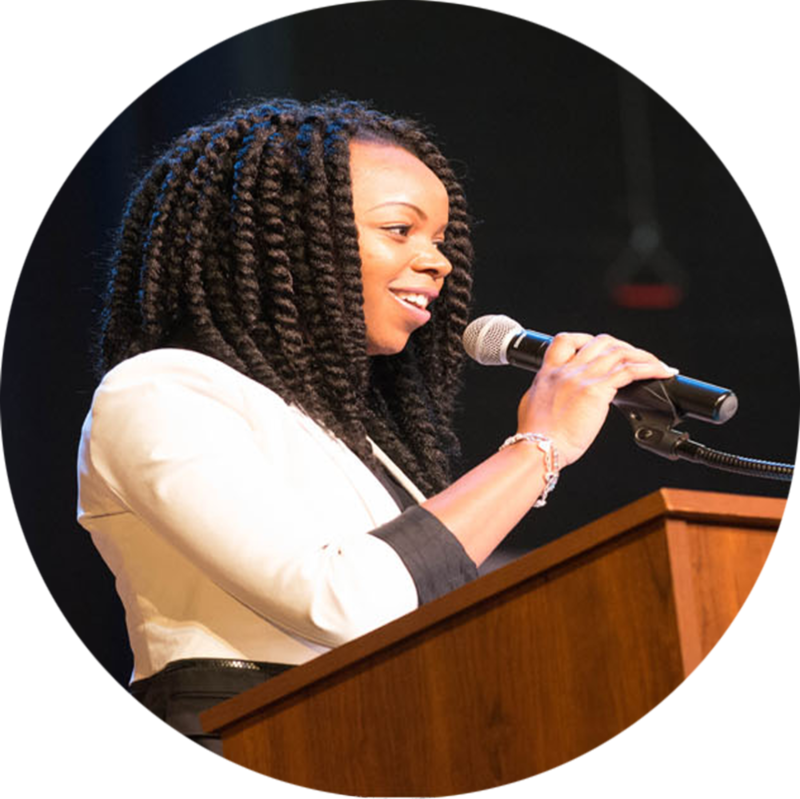 As a speaker, Alisha has been able to travel across the Carolinas effectively impacting the lives of young women and teens. With her great stage presence and enthusiasm, this award-winning speaker uses her skill of singing to captivate audiences while delivering a powerful and memorable message. She has delivered speeches and facilitated workshops for local universities, schools, churches, and various organizations. As an entrepreneur, Alisha is the owner and operator of Eye Shadow Photography. Alisha has photographed over 150 weddings and events in the course of 5 years and is in constant demand throughout the Southeast. Alisha’s passionate about capturing how different families grow through engagements, weddings, maternity, to a complete family. Using photography in a creative way her company is able to provide memories of a lifetime for both the clients and herself. As a mom and wife Alisha has been able to balance family, fitness, and faith. She is excited about being able to impact and empower others through her experiences and gifts.